with ports of call in Princess Cays, Bahamas; Falmouth, Jamaica; Grand Cayman, Cayman Islands; Cozumel, Mexico. *NOTE* Effective April 20-30, 2019, in order to take advantage of the current promotion, please make your own reservation with Princess Cruises directly by calling (800) 774-6237. Inform them your travel agent is out of the country and provide this information for the record: Carmen Allard, travel agent; tel # (818) 553-3200; Group TPQ for U.S. or TPR for Canadian. 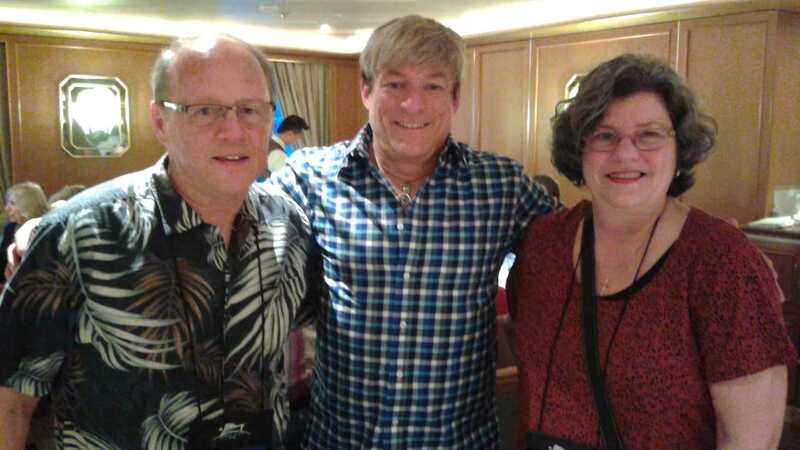 Ask them to send a Booking Confirmation to the email on file, then email Carmen@VeritasCruises.com to inform her of your Booking Confirmation number. When she returns to the office the week of May 6, she will provide you with more details about being part of the Retreat at Sea. 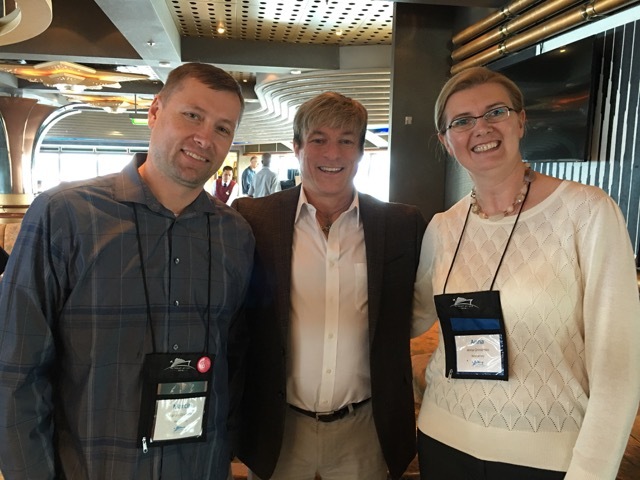 **ADDED AGAIN THIS YEAR** $25 per stateroom onboard spending credit! 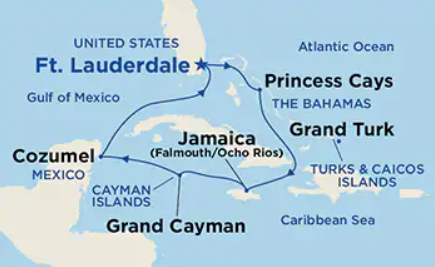 *OPTIONAL one-day pre-cruise hotel package*: $195 per person, based on double occupancy, at the Hilton Garden Inn, Ft. Lauderdale Airport-Cruise Port (there is a courtesy shuttle from the FLL airport to the hotel. 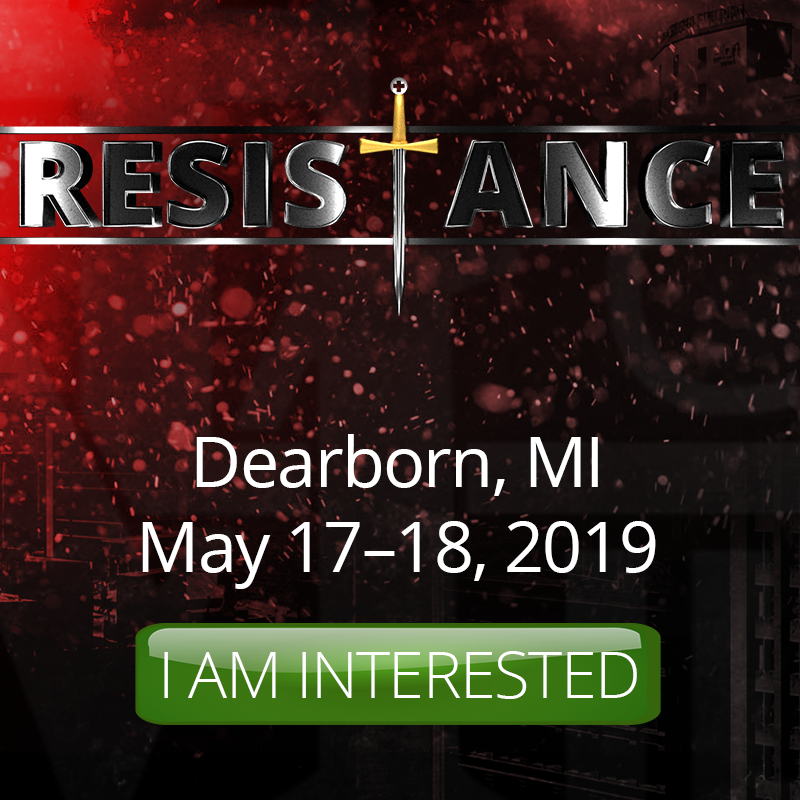 Included in the package are overnight accommodations, two talks by Michael Voris, transfer to the pier on Sunday morning, including luggage handling & gratuities to driver, and porters at the pier. Canadian passengers: Fares range from $1,406 CAD per person, double occupancy, for an interior stateroom, to $2,314 CAD per person for a mini suite stateroom. 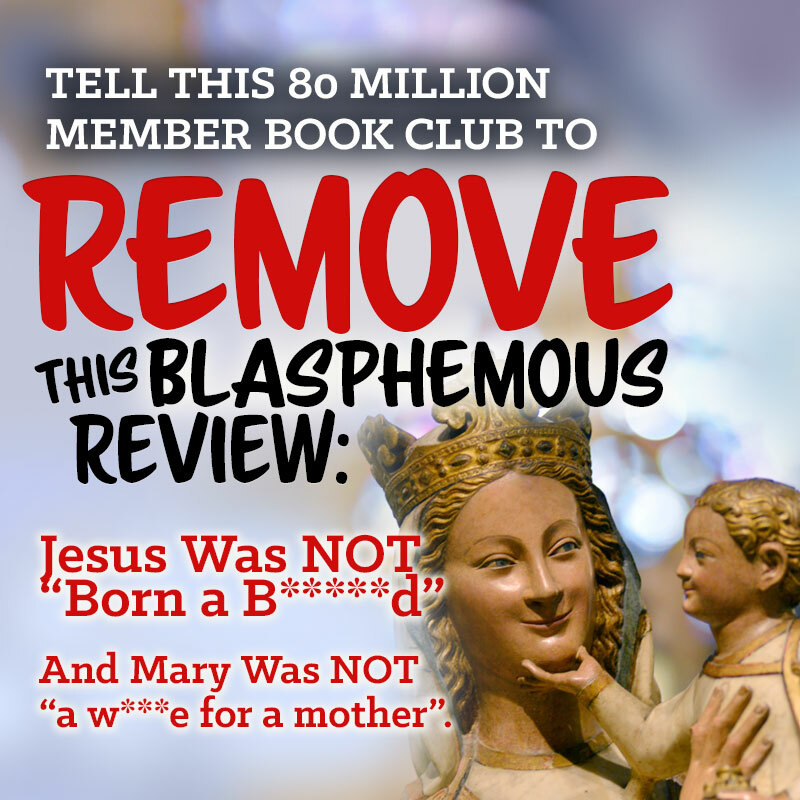 PLUS, $300 USD conference fees to be charged by St. Michael's Media separately. ONBOARD SPENDING CREDIT IN USD! Please contact us for a quote of your stateroom type selection. 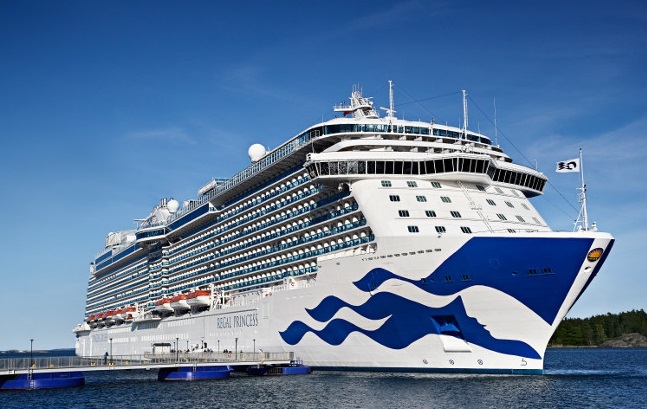 Regal Princess entered service in 2014 - 5 years young! Dining on board a Princess cruise ship is a joyful celebration in the truest sense, with every dish "designed for fresh" and crafted to exceed even the most discerning appetites. From hand-tossed pizza to dazzling multi-course gourmet dinners, you'll find enticing food and dining options throughout the day, as lovingly prepared as a home-cooked meal. Enjoy the view, exercise, check your e-mails in the internet cafe or just relax and enjoy time for prayer between our complete schedule of functions. Ruby Princess Under 18: A Princess Cruise means fun for the entire family, with activities for kids to keep them happy and special teen programs to get them involved, too. 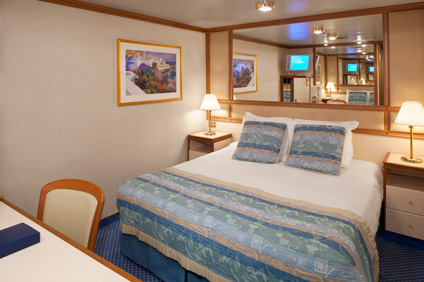 Mini-suite with balcony (all non-obstructed view): $2,080 per person + **$162.50 per person ONBOARD SPENDING CREDIT! The luxurious mini-suite offers approximately 323 square feet of comfort and a separate seating area with a sofa bed for lounging or sleeping a third passenger. The spacious balcony is approximately 57 square feet, and the bathroom offers a combination tub and shower. 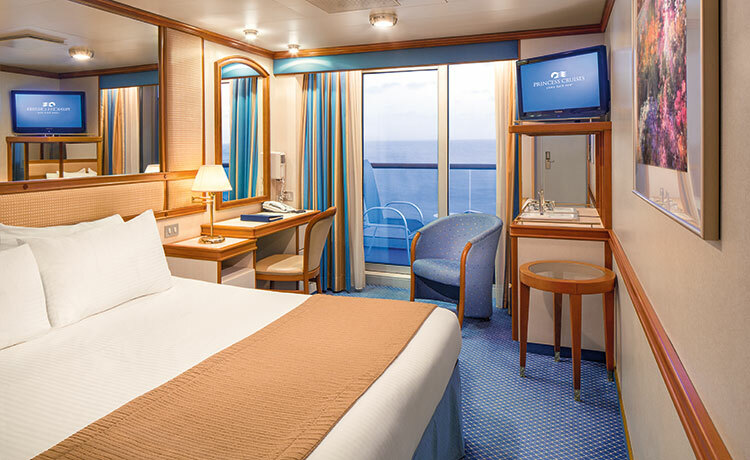 Deluxe balcony stateroom, unobstructed: from $1,921 per person. Deluxe balcony stateroom, OBSTRUCTED: from $1,840 per person. 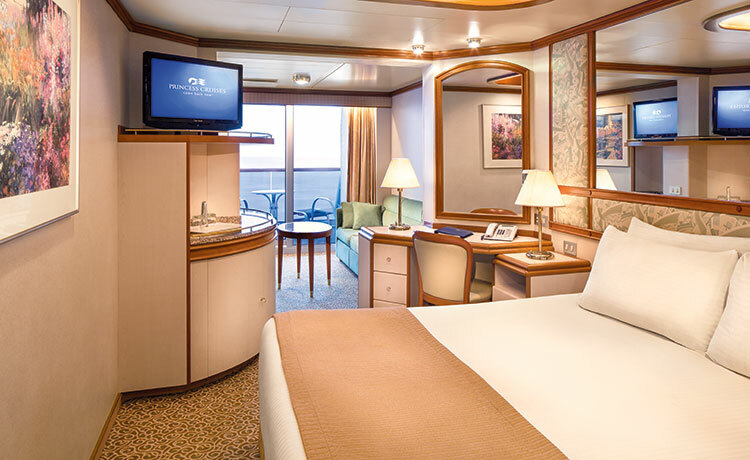 Standard balcony stateroom: from $1,813 per person. ALL receive **$162.50 per person ONBOARD SPENDING CREDIT! The spacious, approximately 231-square-foot balcony stateroom is appointed with fine amenities and outstanding views from an approximately 45-square-foot private balcony. 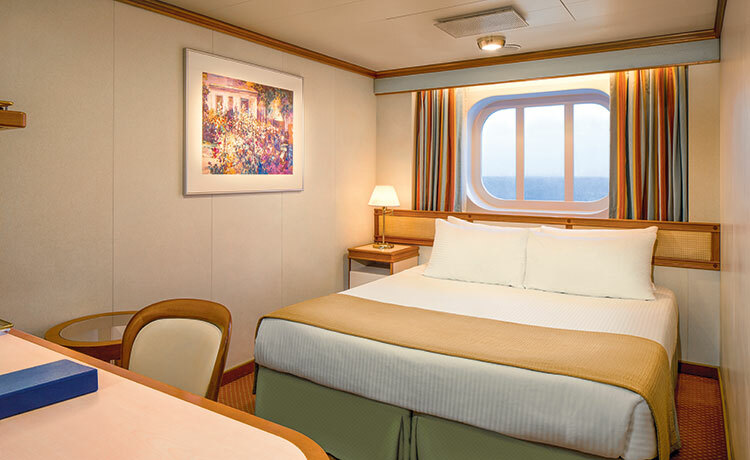 The Oceanview stateroom is approximately 179 square feet and features a picture window for memorable views (fully or partially obstructed in "obstructed view" category). The Oceanview stateroom is richly appointed with fine amenities. Interior stateroom: from $1,381 per person + **$112.50 per person ONBOARD SPENDING CREDIT! Our interior stateroom is a great value. It features two twin beds that make a queen-sized bed. Other amenities include a refrigerator, television, closet and bathroom with shower. Approximately 162–182 square feet of space. Reserve your spot! Click here. ** $12.50 per person onboard spending credit is an amenity for our group. $150 and $100 per person onboard spending credit is an amenity of the current Princess Cruises promotion COME BACK NEW SALE (valid through April 30). In the months leading up to the cruise, we will regularly monitor fares to determine any reductions, upgrades and/or better promotions, and our retreatants who qualify will receive the reduced fare. Those who book earliest are considered first for possible complimentary upgrades and other promotions. 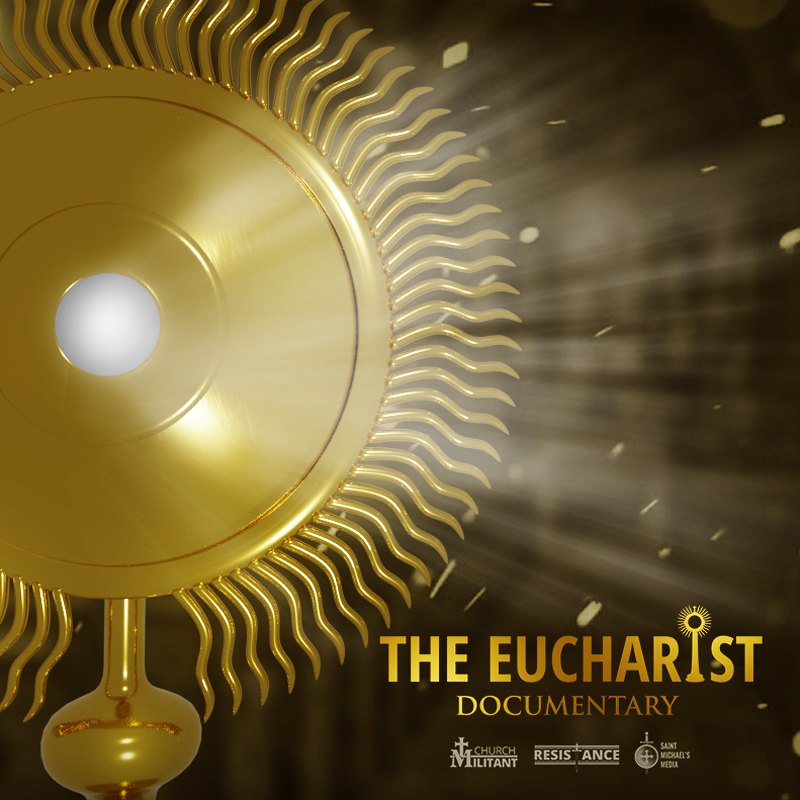 If you have additional questions, e-mail RetreatAtSea@StMichaelsMedia.org or call (866) 738-1207 (ask for Carmen; M-F, 8:15 a.m.-4:30 p.m. ET) or after hours (805) 526-6565 (Carmen's cell phone). *All quoted rates include: cruise fare based on double occupancy (with all meals on board); government taxes, fees and port expenses; Princess Vacation Protection insurance; prepaid onboard gratuities; and conference fees ($300 charged separately by St. Michael's Media, but included in the quoted fares — $50 per person cancellation fee). Air travel, if necessary, is on your own and can be booked through Princess Cruises' EZ Air program. The fares are competive, and payment is not due until cruise final payment. Princess Cruises generously offers a $100 onboard spending credit for active, retired or honorably discharged veterans. 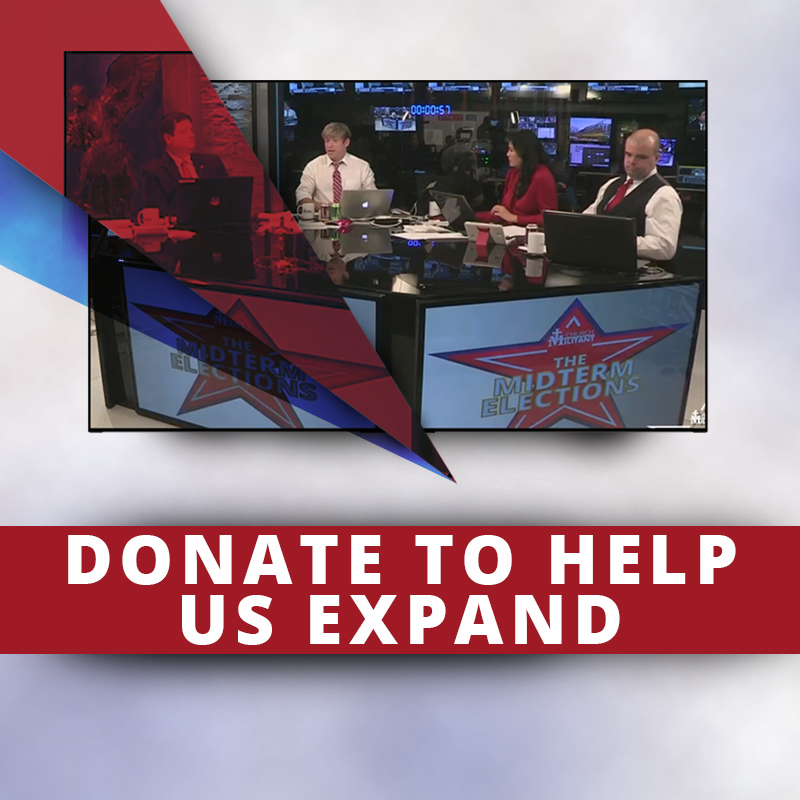 Please inquire about the Military Benefits Request Form. Reduced fare for past passengers (Captain's Circle members). Note: Current promotions are sometimes lower than the Captain's Circle fares. St. Michael's Media: $300 per person; included in fare quotes, charged separately.